Kirin 710 vs Snapdragon 710 Comparison - One-Sided Battle? Kirin 710 vs Snapdragon 710 Comparison – One-Sided Battle? The HiSilicon Kirin 710 is undoubtedly a powerful mid-range processor from Huawei that can compete with the 600 series processors from Qualcomm. But, when it was first announced by the company, there were rumors that this chipset is named so because it is a competitor to the Snapdragon 710. But is this true? We have seen in our previous comparisons of the Kirin 710 vs Snapdragon 636 and Kirin 710 vs Snapdragon 660 that the Kirin 710 sits between the Snapdragon 636 and the 660 regarding the performance. Still, if you want to know how it competes with Snapdragon 710, then in this article, we are going to do a comparison of Kirin 710 vs Snapdragon 710. And we already know which chipset is better, right? 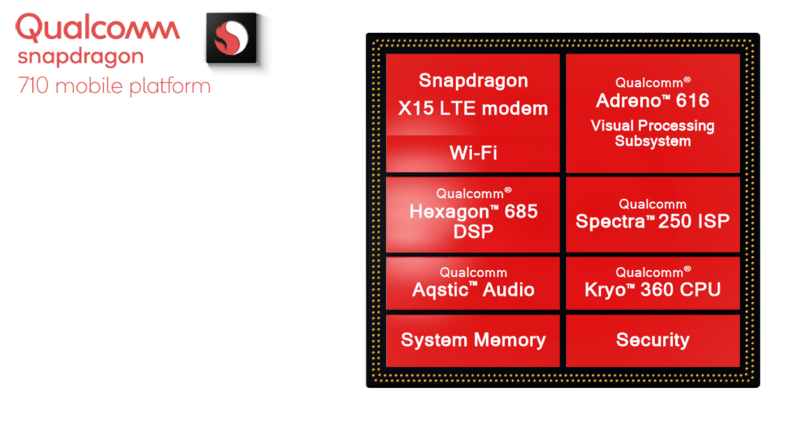 FYI, the Qualcomm Snapdragon 710 was announced in May this year, and it is the most powerful mid-range processor that the company has right now. The performance is pretty comparable to the Snapdragon 835 of last year, thanks to the similar technology used. 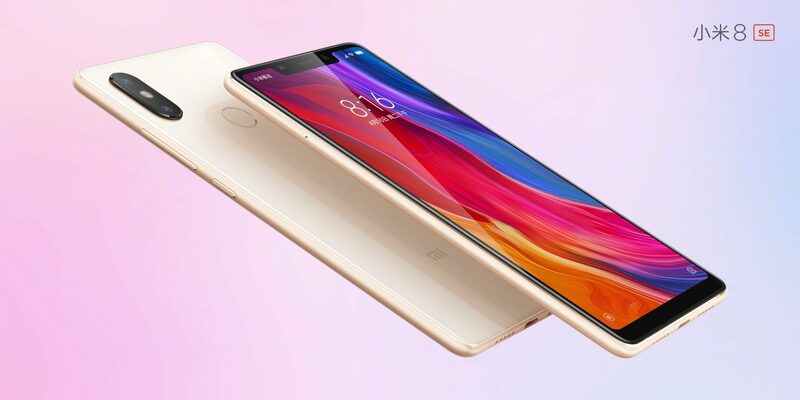 The Xiaomi Mi 8 SE is the first smartphone that was launched with the Snapdragon 710, and we have seen in the reviews that this chipset performs well. Well, as the specifications suggest, the Qualcomm Snapdragon 710 is much powerful than the Kirin 710. First, it is manufactured by the 10nm process, which is the same technology used for the Snapdragon 835. In fact, the Snapdragon 845 is using the second generation of this process. Now you got the idea, right? 10nm process means that this chipset can perform better and is more power efficient than the 12nm or 14nm processors. On paper, the difference between 12nm and 10nm may not seem much, but in reality, it is a huge difference regarding the overall performance and the efficiency. Then we have the CPUs. The Qualcomm Snapdragon 710 has powerful 8x Kryo 360 CPUs and the best thing is that these CPUs are powerful than the Kryo 280 on the Snapdragon 835. So regarding the CPU performance, the Snapdragon 710 sits between the Snapdragon 835 and the Snapdragon 845. On the Kirin 710, there are 4X Cortex-A73 cores clocked at 2.2GHz and four Cortex-A53 cores clocked at 1.7GHz. Both the Kirin 710 and the Snapdragon 710 have a clock speed up to 2.2GHz regarding the CPU, but since the specifications are better in case of the Snapdragon 710, it is better when we consider the CPU performance. Coming to the GPU, the Snapdragon 710 has the Adreno 616, and there is not much information about its specifications. One thing that we know, however, is that the Adreno 616 is just behind the Adreno 630 on the Snapdragon 845 regarding the performance. In fact, Snapdragon 710, along with the Snapdragon 845, is the only processor from Qualcomm that has the 600 series Adreno GPU. Coming to the Kirin 710’s GPU, well, it simply doesn’t stand a chance as it is the old ARM Mali-G51 MP4 GPU that is for the budget and mid-range processors. Then we have other specifications like the maximum camera specs, display specs, LTE Modem, etc. In all those aspects, the Snapdragon 710 is the clear winner. Now you know the meaning of the title, right? On Geekbench, the Snapdragon 710 processor scores around 1900 on the Single core and 5900 on multi-core, which is an impressive score. 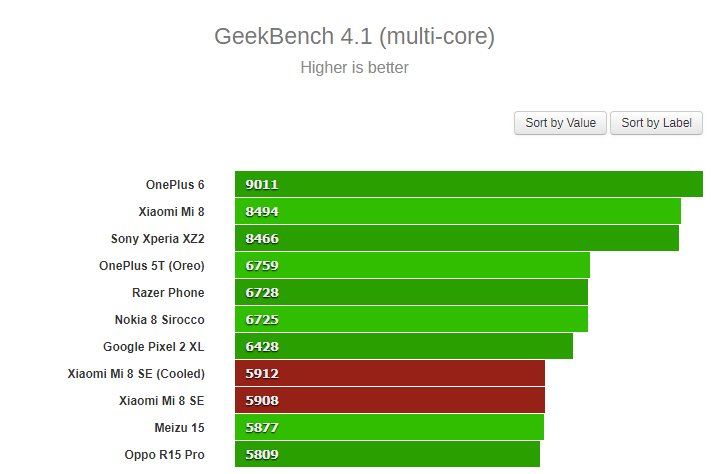 Talking about AnTuTu Benchmark, the chipset scores around 170K, which is again a great score for a mid-range processor. 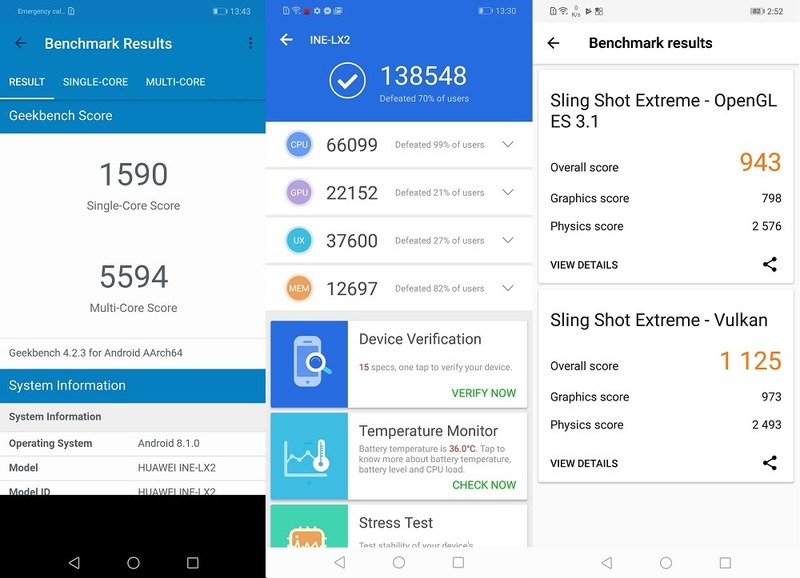 Talking about the Kirin 710, the chipset scores around 138K on AnTuTu benchmark, which is way less than the score of the Snapdragon 710. 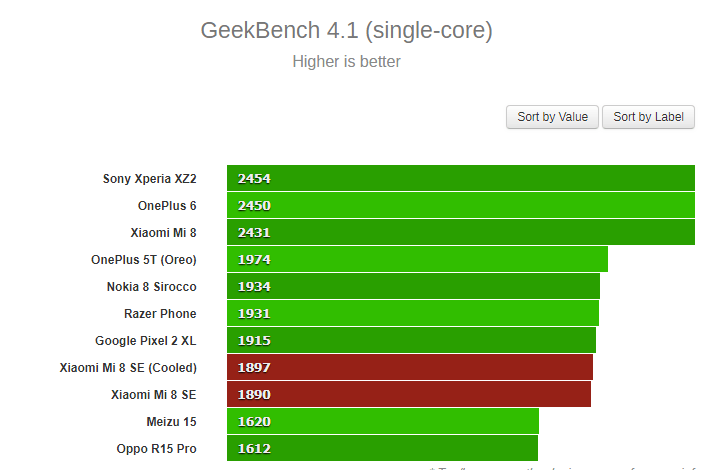 Also on Geekbench, the chipset scores around 1590 on single core and 5594 on multi-core. Here, the difference is not huge, but still, Snapdragon 710 is the clear winner. In the above images, you can notice that there is not a huge difference regarding the CPU performance, but when we consider other things like the GPU, UX, etc., the Snapdragon 710 beats the Kirin 710 with ease. Well, as mentioned in the beginning, this is a comparison of two chipsets that actually aren’t made to compete with each other. One is a processor that can compete with high-end chipsets, whereas the other is the processor that is meant for the mid-range phones. So yes, the Kirin 710 may have a similar name as the Snapdragon 710, but the difference in terms of the overall performance is huge. So, this was all about the Kirin 710 vs Snapdragon 710 comparison. If you have any questions, then do let us know via the comments section below. The Comparison of Kirin 710 with the Helio P60 is coming next on DroidHolic so stay tuned.